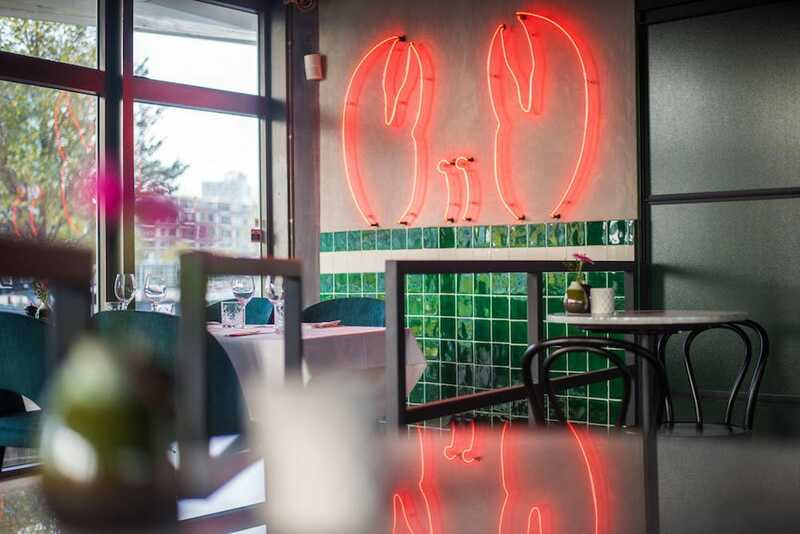 Attention seafood lovers: try these 8 restaurants in Rotterdam! 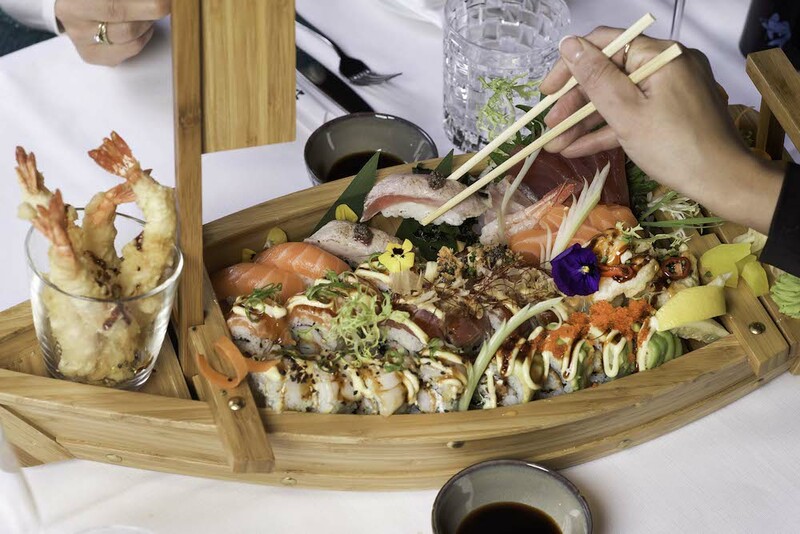 Sushi, sashimi, oysters, fruits de mer… Did your heart just skip a beat by reading about seafood? Then you came to the right place. As a port city we can never get enough of the delicacies from the sea. 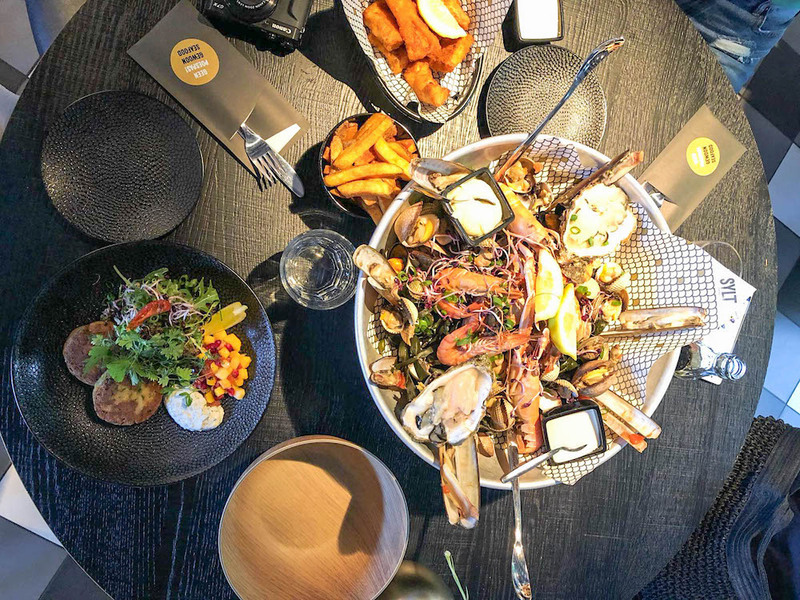 In this post you can find all sorts of seafood restaurants in Rotterdam, from fine-dining restaurants to casual seafood bars. 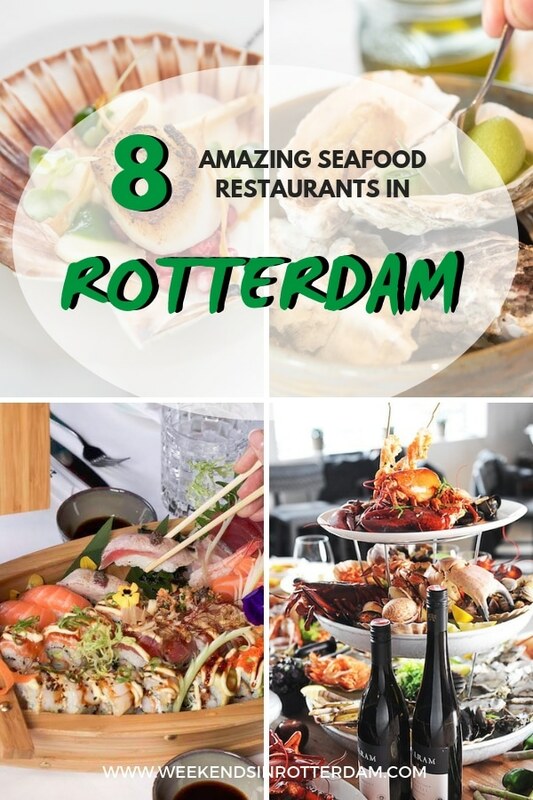 There is something for every seafood lover in Rotterdam! Bon appetite! Zeezout in Rotterdam specialises in fish and shellfish and is considered to be the best seafood restaurant of our city. What makes Zeezout extra special is that the Chef and owner Patrick ‘t Hart uses products from Rotterdam in almost every dish. Everything they serve at Zeezout is a real piece of art and makes this restaurant the perfect place for a special occassion. 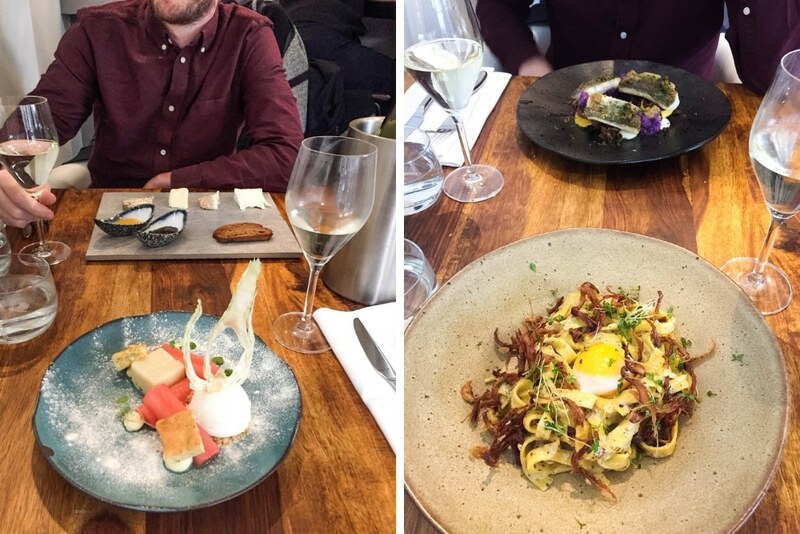 You can read more about Zeezout in Lisanne’s review. Past spring Eveline Wu took over restaurant Las Palmas from acclaimed Rotterdam chef Herman den Blijker and turned it into one of the best sushi and sashimi places in town: Mood Rotterdam. So, what can you expect at Mood? Good food with fresh ingredients, from oysters and fruits de mer to bouillabaisse and sweetbread. And make sure to taste Eveline’s award-winning (World Championship of Chinese Cuisine 2016) dessert ‘Garden Delight’, which is a heavenly combo of hazelnut mousse and praline, raspberries and white chocolate ice cream. 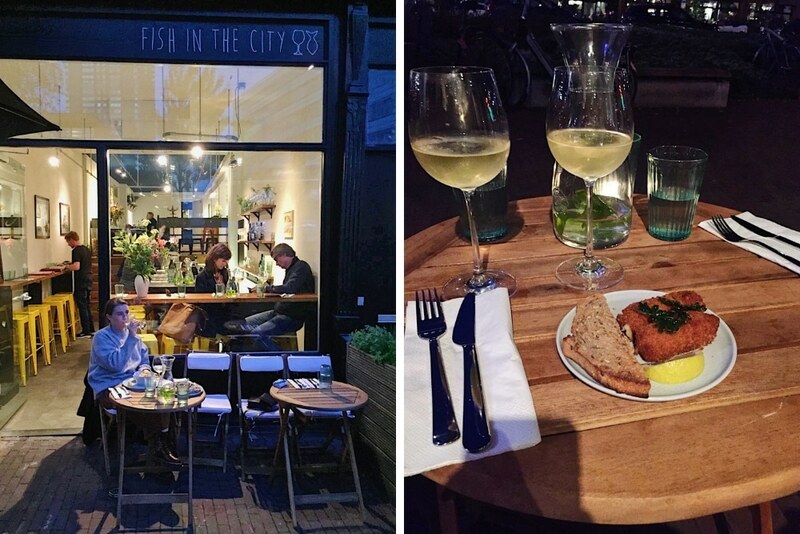 Fish in the City is a casual seafood restaurant located at the Scheepstimmermanslaan. The owner definitely has a passion for his work and creates simple, but high quality dishes. Their signature dish is the Fish and Chips, which despite the authentic taste is made with local products from Rotterdam! Another speciality of Fish in the City is their good wine… Cheers! Read Julia’s review about this great seafood restaurant. 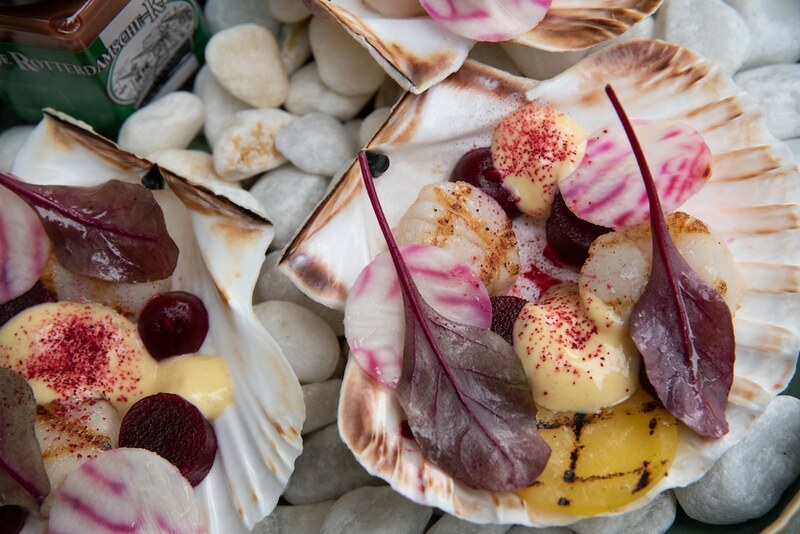 Another casual seafood restaurant in Rotterdam is Sylt Seafood Bar. This great place has a great central location on the Nieuwe Binnenweg. Come for a quick bite or stay a little longer and enjoy their great atmosphere and Instagrammable interior. Fruit de mer, lobster, oysters, octopus, Langoest has about anything from the sea. Each and every day they will serve super fresh fish. Their perfect location at the Boompjes with a view on the Maas and their amazing interior, makes Langoest the perfect location for any occasion. Walk’In Fish serve food of excellent quality. As you can guess they focus mainly on fish, but they also serve meat and have vegetarian options, and combine it with surprising ingredients. Because they exclusively serve fresh products you need to make a reservation at least 24 hours before you go. 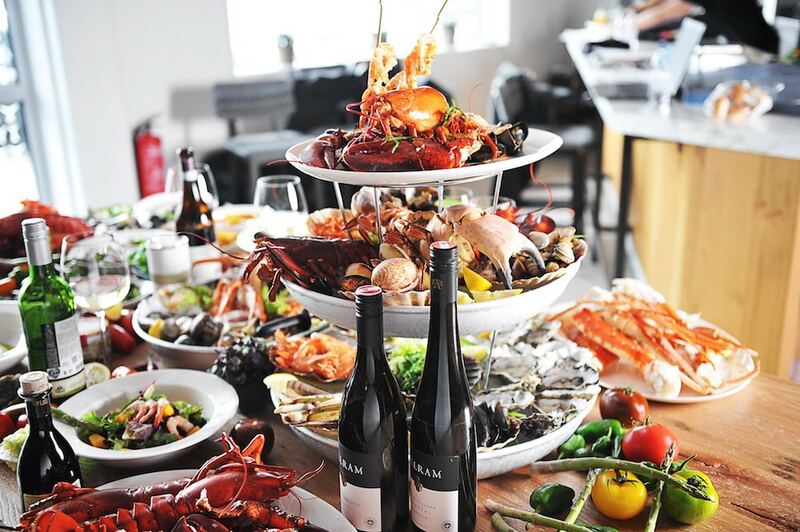 At the Fish Market in Rotterdam they exclusively use fresh ingredients and sustainable fish to make delicious sandwiches, fish and chips and fruits de mer. This seafood bar serves their high quality products in a very relaxed, casual setting. A La Plancha is only open during the Summer season and during sunny days. So, it’s definitely a good place to go on a sultry summer day. Here you can get Fruit de Mer, lots of fresh fish that are caught that same day and delicious cocktails and wines. What makes A La Plancha extra special is the location: on one side of the terrace you look out on the Erasmus Bridge and from the other side you can see the Willemsbrug. 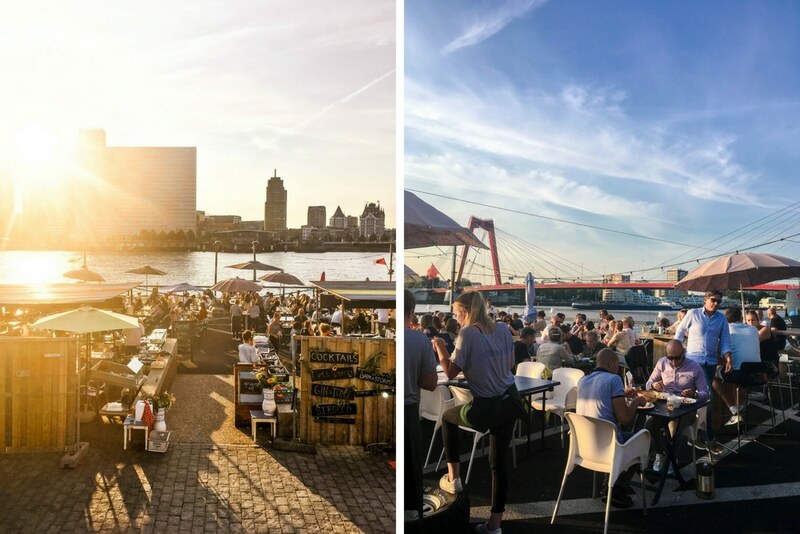 Are you in Rotterdam for the summer? Check out this article with 18 great hotspots with outdoor patios in our city! A La Plancha is only open on sunny days. Check out this page to see if they’re open. I hope this article has given you a lot of inspiration for your visit in Rotterdam. Is there a seafood restaurant in Rotterdam that we should definitely include but isn’t in the list yet? Let us know in the comments below! Have you found the perfect seafood restaurant in this article that you want to visit? Always check the address and opening times via the website of the hotspot, as this may have changed between the moment we have written it and the moment you are reading this. Enjoy! Try the best sandwich of the Netherlands!